This document is updated weekly, but why is it important? Healthcare marketers are aggressively pursuing new revenue streams to augment lower reimbursements provided under PPACA. 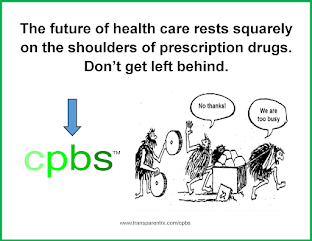 Prescription drugs, particularly specialty, are key drivers in the growth strategies of PBMs, TPAs, and MCOs pursuant to health care reform. Step #4: Now take it one step further. 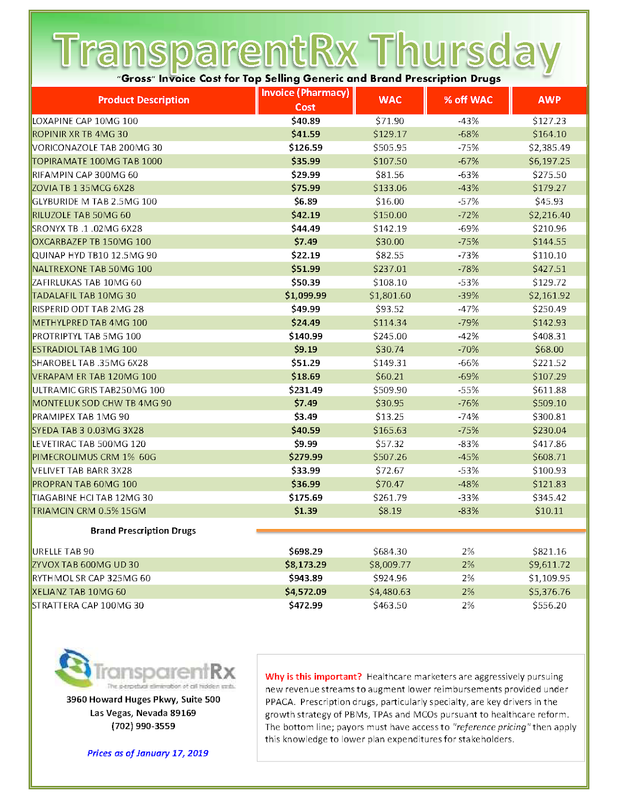 Check what your organization has paid, for prescription drugs, against our acquisition costs then determine if a problem exists. 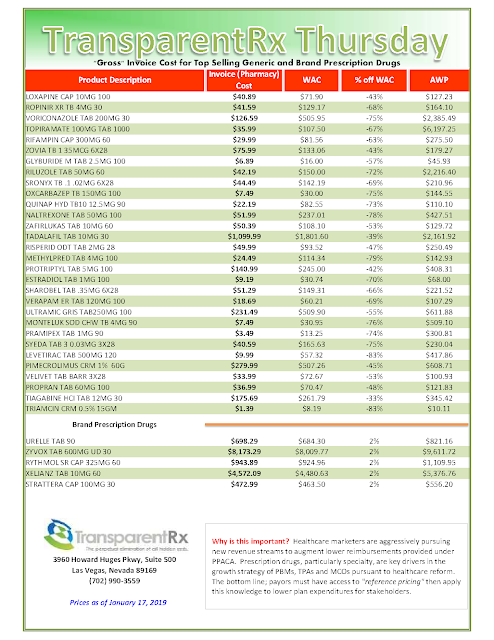 When there is more than a 5% price differential for brand drugs or 25% (paid versus actual cost) for generic drugs we consider this a potential problem thus further investigation is warranted. 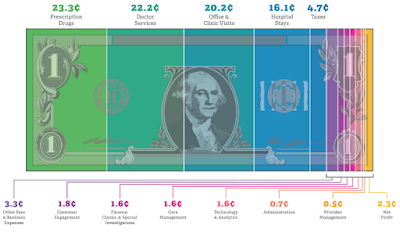 Multiple price differential discoveries mean that your organization or client is likely overpaying. REPEAT these steps once per month.